Stimulating environments for children to learn and thrive. 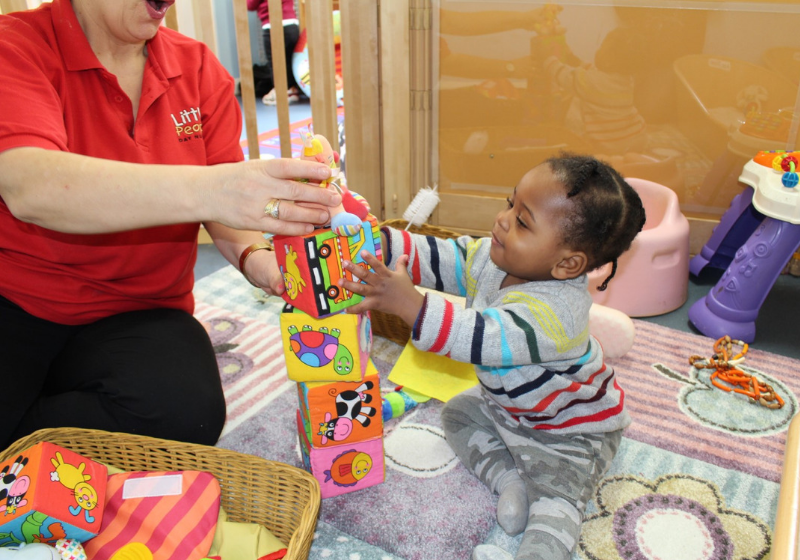 At around 18 months, depending on your child’s development, children are gently introduced to the toddler room where they discover new challenges through a variety of structured and unstructured activities. These include emphasis on physical skills and play, art and malleable activities, sensory activities, early maths, introduction to language skills and imaginative play which are key elements of this stage. We encourage learning through the development of communication skills and social skills with their peers, all through the guidance of our experienced and highly trained Nursery Practitioners. The variety of activities on offer is designed to ensure that children are able to learn effectively through their play. This is done in a fun environment where sand/water/messy play activities are on offer each day – staff use these activities to promote the use of language and expression. Physical activities are a very important part of our day, both indoor and outdoor. Climbing, rolling, running, pushing, crawling, sliding are an everyday event at the nursery as well as outings to the local park, and markets in our specialised buggies. Yoga is practised every day and enhanced by our specialised Yoga teacher who works specifically with the Toddlers in the nursery. We also offer a wide range of extra-curricular activities and classes daily for our toddlers including yoga, swimming, football, dance, gymnastics and spanish. We incorporate early math and language activities in outdoor learning in a variety of activities such as rolling cars down a ramp and counting how long it takes to reach the bottom.